Designated a “Holy Island” by the Greek Parliament in 1981, and also a Unesco World Heritage Site, Patmos has also been termed one of Europe’s most idyllic places to live. 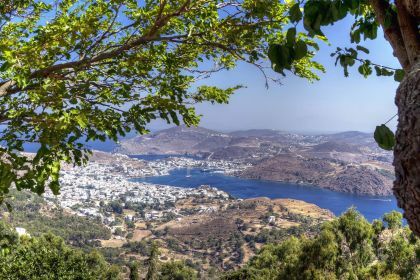 Legend has it that it was in a cave in Patmos that St John wrote the Book of Revelations, which gives this exquisite island the unusual moniker of the Jerusalem of the Aegean. It may be small in size but it more than makes up for it in heart, charm and stature. Many of Patmos’s beaches and secluded pebbled coves are pristine hideaways, only accessible by yacht — ideal for an island-hopping sailing vacation. The beach at Psili Ammos, for example, which literally translates as “thin sand”, will offer you an off-the-beaten-track experience within easy reach by yacht. 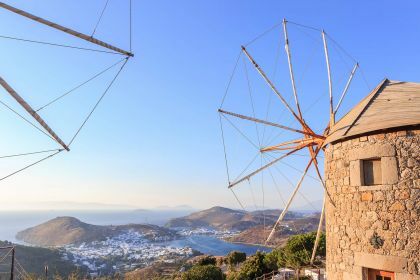 Patmos has it all: pretty windmills, fortified monasteries, volcanic landscapes, the mystical Cave of the Apocalypse … plus a number of sandy beach conveniently sheltered from the wind. 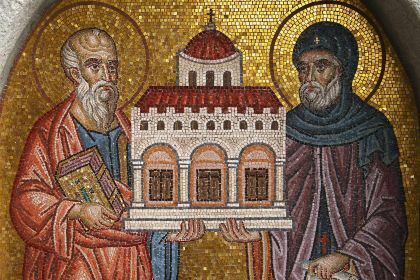 The Monastery of St John the Theologian, perched above the hilltop capital of Chora is well worth a visit, not least for the energising walk up the hill. The monastery comprises 10 chapels and 99 cells as well as a library of thousands of documents relating to the history of the site. History lovers should not miss this. 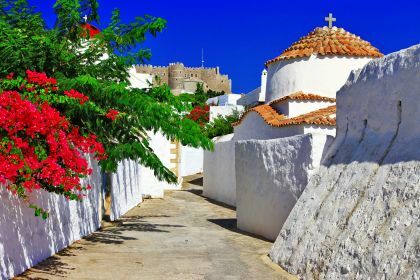 You also cannot help but be charmed by Patmos’s many small villages and traditional settlements with their attractive architecture and friendly locals. Skála, the island’s port, is also worth a visit for its bustling tavernas, serving the freshest of fish. Skála was used by by the Italians during the Italian Rule of the Dodecanese (1912-1943), and there are remnants of its presence here. Patmos offers beachside tavernas, authentic restaurants and traditional cusine. It is said that the best Patmian dining is often generally not in Skála or Hóra, but out in the countryside – especially at the beaches. Whatever your taste, the food offering is sure to be fresh, innovative and featuring delectable local ingredients. Recommended options in Skála include Mezedopoleio Tzivaeri Taverna and Trehantiri Taverna. Insider tip You are bound to fall for the romance of Chora if you pay her a visit in the cool of the evening. It’s an enchanting place to wander the narrow, paved streets and intriguing passageways … and enjoy sublime views of the Aegean. Take your camera along for the unmissable sunsets and revel in Patmos’s seductive charms. When you are ready to set sail to the nearby Leros, Naxos or Ikaria, your yacht will be on hand to take you to new adventure. Wherever you go, the lovely island of Patmos will leave lasting, and lingering, memories.